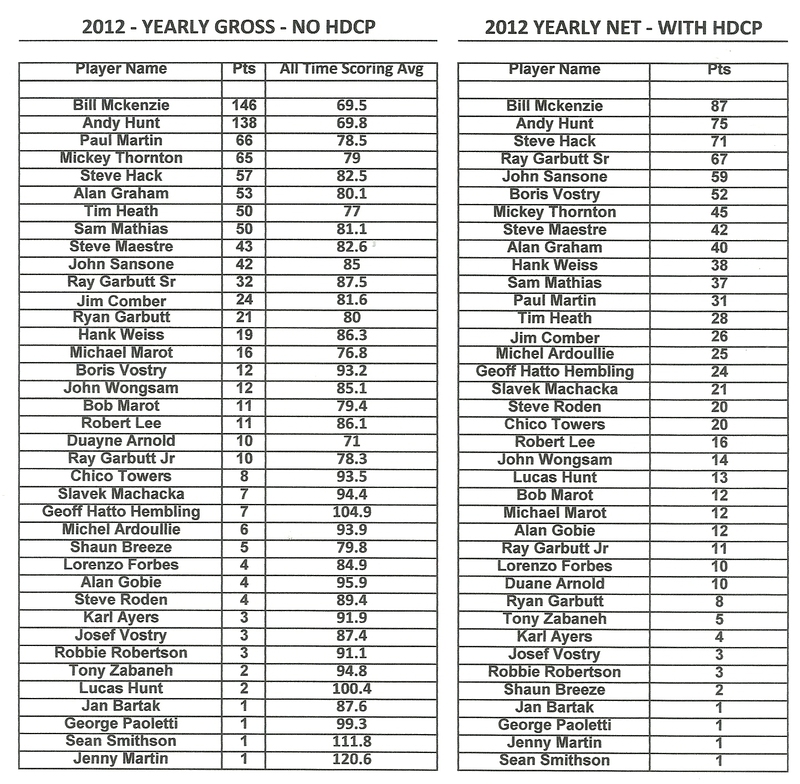 Below are the results of the 2012 Golf Season. A big thank you to all who joined and participated through the year. It was a terrific Golfing season with the association growing to 38 members and 18 Tournaments. 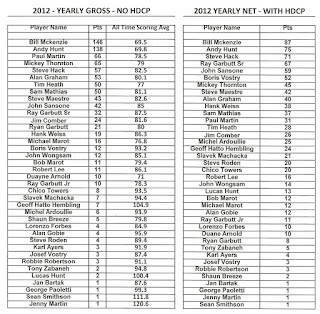 Next Year we anticipate adding 1 more tournament to the season bringing 19 tournaments for our members to play in. We welcome any new players and also anyone who wishes to get more involved and help the BAGA. Details on the 2013 season to follow soon.